China’s recent diplomatic bullying tactics in Europe have perplexed policymakers, but could be part of a greater push to change norms on human rights. In early September, a seemingly ordinary incident involving Chinese tourists being ejected from a hotel in Stockholm made international headlines when it erupted into a minor diplomatic quarrel between China and Sweden. Almost a month later, an altercation between a reporter from China’s state-run CCTV network and a speaker at a London forum addressing the erosion of rule of law and autonomy in Hong Kong similarly escalated tensions between China and the UK. In both instances, Beijing accused the European governments of violating basic human rights and flouting international norms and diplomatic protocol. While this is not the first time either country has been the target of China’s sharp diplomatic rhetoric, the approach implies a new trend in employing this particular tactic on European nations — one not lost on Western media outlets. Drawing links between the two events, the tactic has been identified as a new strategy of applying diplomatic pressure by stirring national outrage. However, for countries more exposed to China’s reach, there is nothing new about it. In 2012, the Senkaku-Diaoyu Islands dispute between Japan and China turned violent when Chinese authorities called for a boycott of Japanese products. Protestors burned Japanese-branded cars in the streets and in some cases assaulted the owners. Japanese automakers found it so difficult to recover sales the following year, they began offering compensation if new owners fell victim to rioting. In 2017, South Korean businesses suffered a similar fate following the government’s decision to deploy a THAAD missile defence system. Beijing encouraged its tourism operators to avoid South Korea, costing the country billions of dollars in lost revenue. Beijing also increased red tape for South Korean business operating in China, forcing at least one conglomerate — Lotte — to pull the plug on its supermarket operations after sales plummeted. A little farther afield, Australia and New Zealand have both felt the effects of this strategy too. Sweeping Chinese influence aimed at suppressing freedom of thought and expression at universities and in the press over the past decade erupted into a prominent public debate last year. This has led to a string of investigations — with one Australian senator resigning over his links to the Chinese Communist Party — and has prompted calls for tighter regulation. Worryingly, efforts to pass any legislation on the matter have been stalled by threats from Chinese state media to stage a repeat of the incidents experienced by South Korea and Japan in Australia. Against this backdrop, a report released this year by Canadian intelligence warned that Chinese influence in New Zealand is reaching “critical levels” and will soon be irreversible. The examples in East Asia and Oceania raise the question of whether the UK and Sweden were targeted specifically, or whether this is part of a broader shift in China’s use of this tactic. The answer may lie somewhere in between. In Sweden’s case, tensions have been on the rise since the re-arrest in January of Gui Minhai, a Chinese-born Swedish citizen who originally went missing in the 2015 ‘Hong Kong bookseller disappearances’ incident. In the midst of the spat, Chinese Internet users have been quick to label the country as racist for a comedy sketch aired in September. In this context, the incident in Stockholm appears to be China’s way of tightening the noose. The UK’s troubles began when former prime minister David Cameron’s public meeting with the Dalai Lama provoked China to put relations in a deep freeze. Since then, the UK has attempted to accommodate Beijing — even providing an ambiguous response to the 2015 Umbrella Revolution in Hong Kong. Hence, the London incident seems intended as a reminder for the UK of the consequences of speaking out. It is not difficult to find the common thread between the two incidents. Both countries have a strong human rights record and a history of challenging abusers; both now face the dilemma of whether to call China out on such issues and lose much-needed investment and economic opportunities or to stay silent to forge closer ties. By targeting these two in particular, China also keeps the EU, which has been having trouble reaching consensus in calling out violators, on the backfoot on human rights. Beijing’s expanding economic influence in Central and Eastern Europe has noticeably weakened the EU’s ability to challenge Chinese foreign policy. 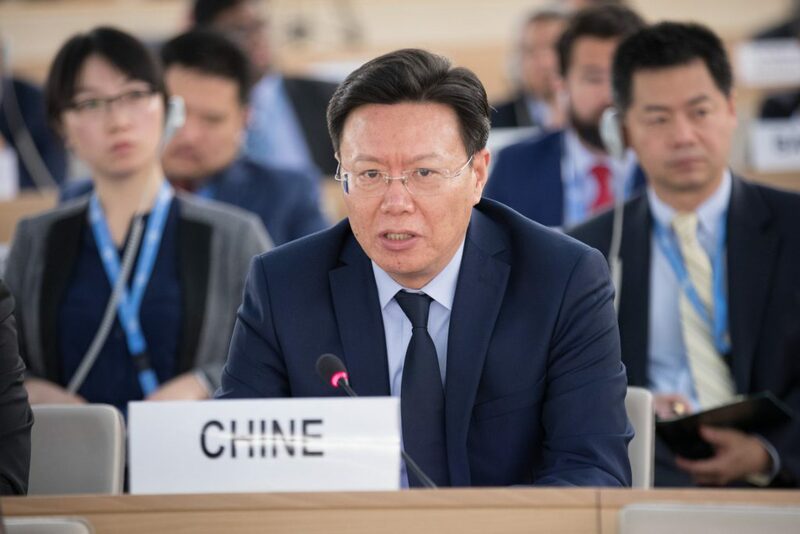 In 2016, the EU was unable to make a strong statement on the South China Sea ruling due to objections from member states in these regions, and in 2017 it was blocked again from making a statement on the mass detention of Uighurs in Xinjiang Province. Beijing’s belligerent approach to accusations of human rights violations may be short-lived. Given its current predicament, the EU will want to antagonise Beijing as little as possible, but increased pressure from China will likely push the bloc to move faster in its efforts to limit Chinese investment and more closely monitor its dialogue with Central and Eastern European members. This may also entail some restructuring of the EU’s internal governance structures if EU leaders feel threatened (although this is unlikely for the time being). Moreover, repeated incidents of diplomatic bullying will encourage European leaders to demonstrate to their constituents that they will not be pushed around. Alternatively, Beijing may curtail its use of this strategy as its blowback potential becomes apparent; notably, its neighbours, which have born the brunt of this behaviour, are beginning to broaden cooperation with the EU to counter the diplomatic offensives. However, there is a chance that China will instead double-down, lashing out politically and economically if it thinks EU solidarity can be eroded. 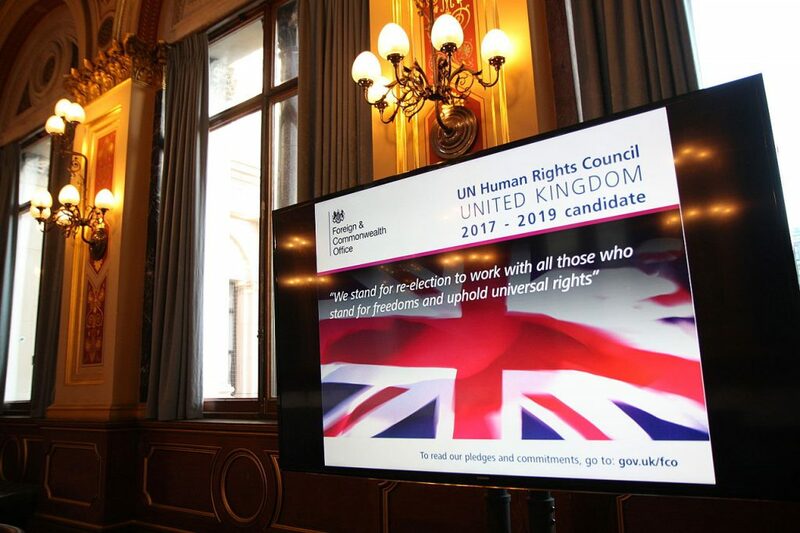 Nevertheless, this will do little to mitigate China’s attempts to reorder the global human rights agenda, particularly should it continue to trivialise discourse on human rights (as in the Swedish and British cases) and as its influence in the Human Rights Council (HRC) continues to expand. 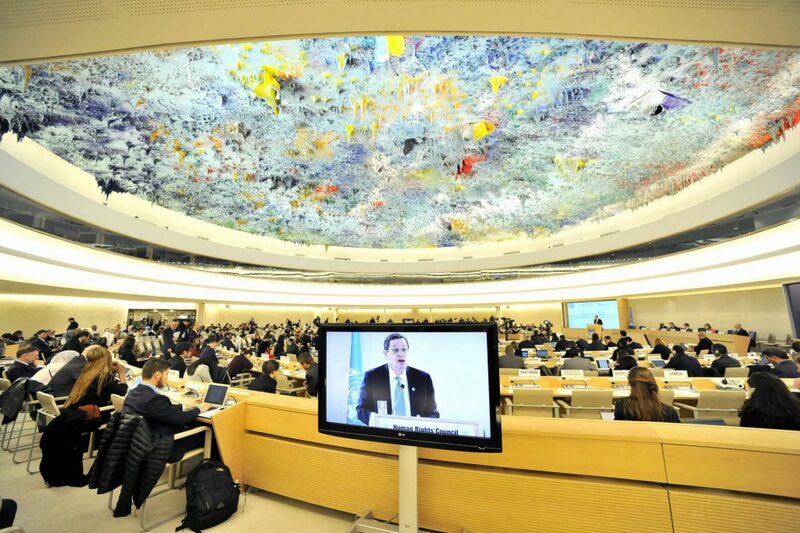 Despite being under investigation for the unfolding situation in Xinjiang, China was elected to the HRC in 2017. With the US withdrawal from the international body in June, China is positioned to further disrupt the HRC’s investigations. The impact of these events is already showing – at an HRC review of China this week, the first since 2013, praise for China’s human rights record eclipsed condemnation. Overall, the trend points to Beijing taking control of the human rights narrative. Unless Western leaders transform their efforts to counter China’s bullying tactics into a greater push to stabilise the erosion of human rights, human rights and rule of law could be headed for a new dark age.